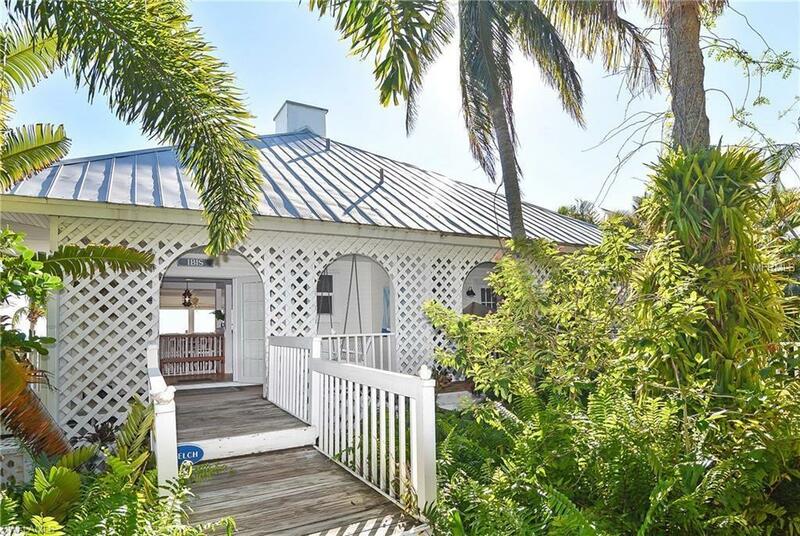 Ibis Cottage, a one of a kind dream home on Useppa Island. 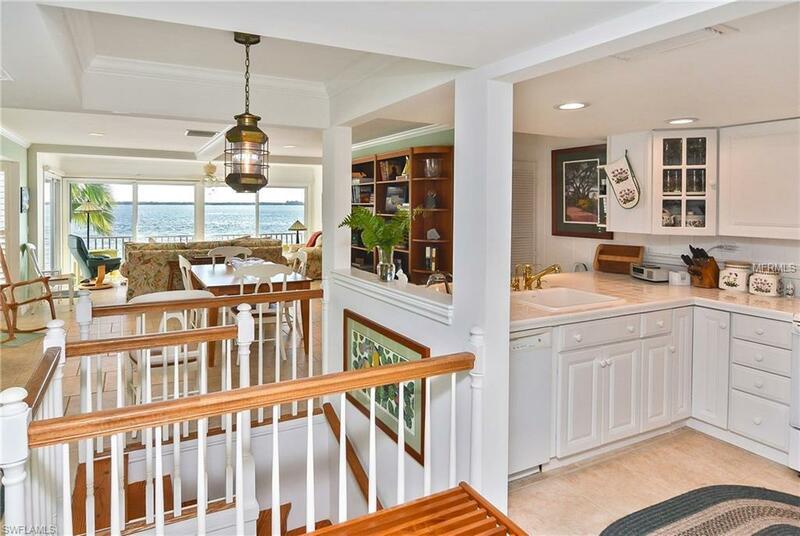 Beachfront, with HUGE water views of Pine Island Sound to the east, north and south. This 3 bedrooms, 3 baths, 3-story townhouse style duplex is water focused. 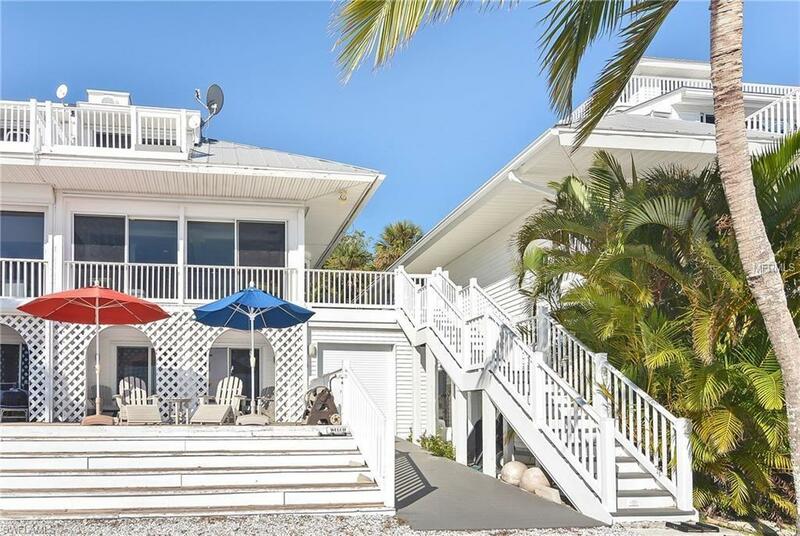 Enjoy views from two spacious decks-one at beach level, the other off the second floor convenient to the kitchen, and living areas-entertaining ambiance at its best! 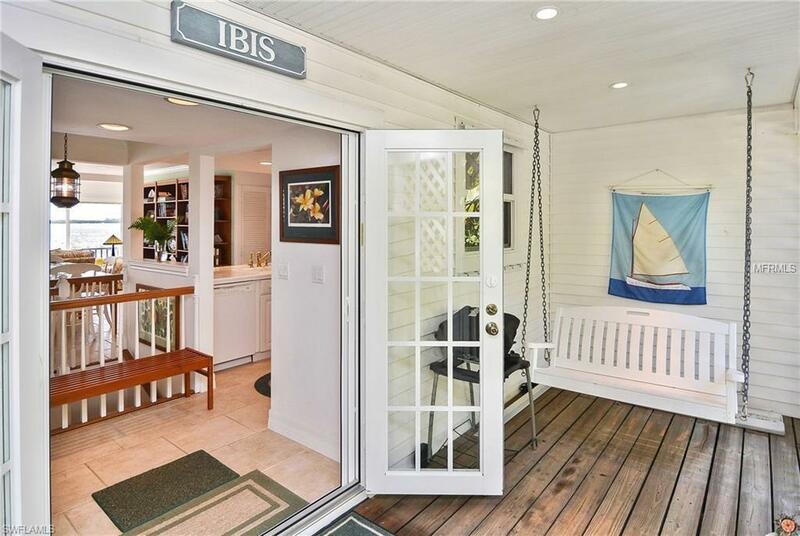 Sip your favorite beverage while watching the birds peck their way along the beach, your favorite catboat bobbing at your mooring. Best of all a boat and cart garage is tucked alongside to store all your water toys, along with your golf cart. Community amenities are a stroll away-the marina, and the Collier Inn, center of island life. Entry is via a bridge from the historic Pink Path, into the second floor living area where all rooms share a water view. Upstairs is the master suite, with an intimate, private open deck of its own. Downstairs are 2 bedrooms and 2 baths, and a guest living area. This home has all the storm features you need-full windstorm protection and a generator. Major renovations have occurred in the past several years, including new water lines and HVAC.